The ScanLife 2016 Consumer Behavior & Preferences Infographic has arrived! 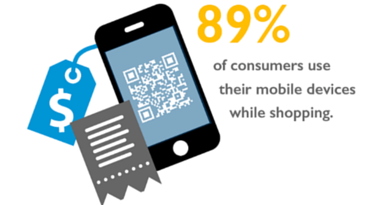 We surveyed more than 19K ScanLife mobile app users to learn more about their mobile shopping behaviors. Our findings reveal valuable data that can be used by marketers and brand managers to better understand consumers and develop winning mobile strategies. Over 19K people responded to the survey which was administered in October of 2015 for a 30 day period. Click here to download your copy of the ScanLife Consumer Behavior & Preferences Infographic 2016. A special thank you to all our app users that participated in the survey! One Response for "Consumer Behavior & Preferences Infographic 2016"
Just need a price cuote for my school project on a scan and how much traffic capacity it has thank you!